Introducing our Giant Light Switch! 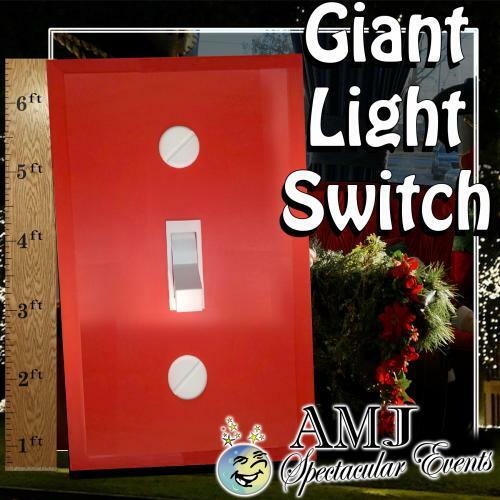 A 6ft Tall Giant Light Switch to start the event and entertain your guests. 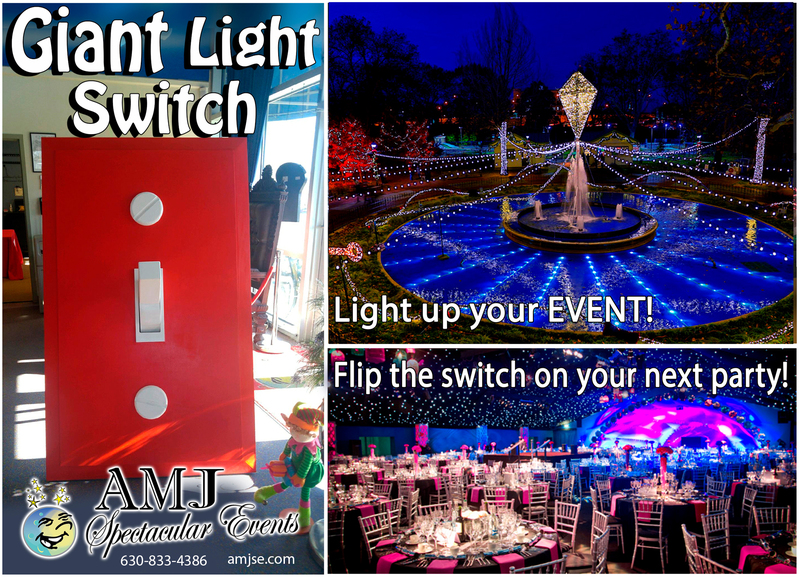 Make a statement to start your event or Flip the switch and light up your tree and lighting ceremony at your holiday event! Watch this really fun Video from "Improv Everywhere" This event is remarkable. Watch their talent & genius in action. A mysterious red light switch allows unsuspecting New Yorkers to turn on over 50,000 Christmas lights. Now you can lift the BIG switch to TURN on the power and light up your next event. FLIP the switch and let the light illuminate all around creating holiday cheer! Call us today to inquire about renting it!